We can pretty much all agree that the back-to-school season might as well be rebranded as the back-to-germs season, right parents!? While simple good health habits like covering your mouth and nose when coughing/sneezing and washing your hands often with soap and water can go a long way in helping prevent the spread of germs, sometimes your household still gets hit with a nasty cold or cough. When that happens, getting plenty of rest is essential to help the immune system fight off the virus. Another pro-tip is to make sure that your medicine cabinet is well stocked with Stodal and Coryzalia! Stodal does not contain dextromethorphan, diphenhydramine or guaifenesin; it does however contain nine homeopathic medicinal ingredients. Coryzalia does not contain any sugar, dye or preservatives; its only non-medicinal ingredient is sterile water giving it a neutral taste. Both Stodal and Coryzalia are also available for adults, so the whole family can count on Boiron throughout the cough and cold season! 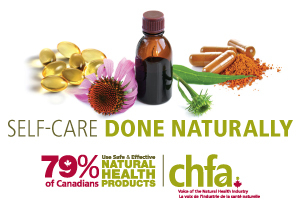 For more information about our other homeopathic medicines, visit our website at www.boiron.ca or follow us on Facebook. Aren’t sure which Boiron solution is best for your little one’s symptoms? Download the FREE Boiron Medicine Finder app today! *Notice – These claims are based on traditional homeopathic references and not modern scientific evidence. 1. Observatoire des fondamentaux pour les spécialités Boiron – Canada – July 2015. Basis: 102 buyers in the past 12 months. 2. Observatoire des fondamentaux – Canada – June 2016. Basis: 189 buyers in the past 12 months.